Photography has been an art and profession for decades. It is a way to capture this moment in time. I published Painterly Photography, Awakening the Artist Within 20 years ago and created a movement! 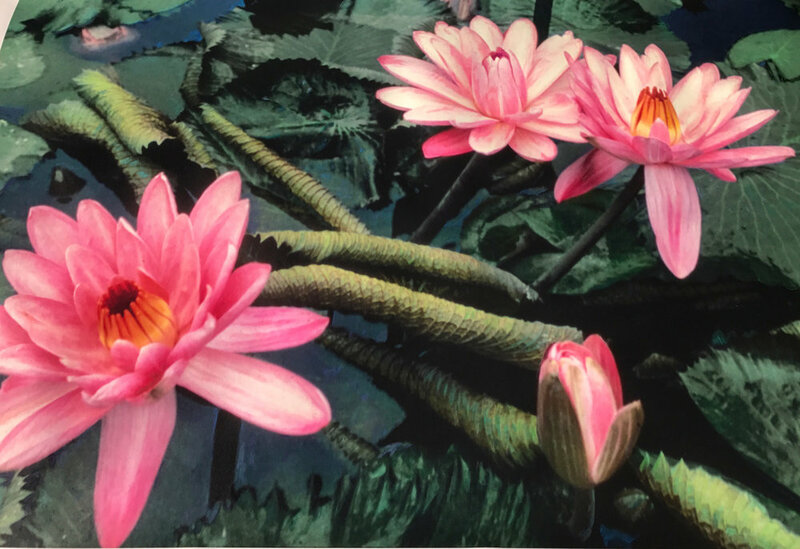 A hybrid of photography and painting, employing a vintage Polaroid camera, painting on the enlarged image with oils, pastels, and colored pencils. Each print is hand-colored and unique. Today I find much creativity with iPhone photography as well as my straight photography for my Monet Calendars and publications. 72"x48" - Hand painted photograph on watercolor paper. 12"x12" - Hand painted SX-70 photograph printed on watercolor paper.